Famous Hong Kong Pianist Performer. Master of Music, Julliard School of Music. Now professor at the HK Academy of Performing Arts and HK Chinese University, she is also a host at the RTHK Radio 4 Channel. Born in Hong Kong, Norman graduated from The Peabody Conservatory of Music with a Bachelor of music, studied with Professor Robert Weirich and Walter hautzig. Norman furthered his repertoire by studying with Irina Zaritzkaya in London England, Anatoly Verdernikov in U.S.S.R. and Tatiana Nikoleava in Mozertum, Salzburg. Jerome Lowenthal at the Music Academy of the West. Mr. Lee received his Master degree of Music from The University of Western Ontario working under Professor Ronald Turini. Norman had conducted master classes and lectures in Universities and Conservatories across Hong Kong, China and Canada on the topic of piano injuries and movement retraining. Mr. Lee is a regular columnist in the leading piano magazine “Piano Artistry” in China. As a recitalist , Mr. Lee‘s perform regularly in The United States, England, Italy, China ,and Hong Kong .And had collaborated with varies chamber music Ensembles and Orchestras. 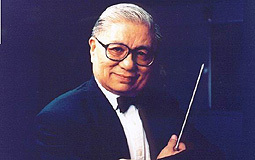 On the contemporary music front, Norman was the pianist for the premier of Eli Marshall’s work with the Macao Orchestra on for piano, voice and orchestra in 2005. Norman is a dedicated piano teacher and music educator besides his various performing activities. Mr. Lee adjudicated on many Piano Competitions throughout Asia. Mr. Lee currently is on the piano faculty of The Hong Kong Baptist University and The Chinese University of Hong Kong. Clementine Grimault was born in Angers in France. She started her piano studies at the age of 10 at the Angers Conservatoire, under the direction of Joelle Lemée, a former student of Yvonne Loriod-Messiaen. Aside some Science grades at school with distinction, and a first year Law degree, she completed a full curriculum with Conservatoire diplomas in piano, chamber music, and music theory (solfege). Clementine then moved to London (UK) and graduated with honours in 2014 from the prestigious Guildhall School of Music and Drama. Inspired by her piano professor – British concert pianist, lecturer and writer Paul Roberts, Clementine particularly developed a keen interest in modern and program music – notably French impressionist and contemporary works. As well as performing solo repertoire, she likes to collaborate with other musicians and artists, in France, UK and Asia. She enjoyed taking part into lecture recitals, and cross disciplinary projects, like Iain Burnside’s play “Journeying boys” where she held the dual role of pianist and actress in London. She also gave performances for company special events. Those include some top luxury brands gala dinners; castle festivals and University annual assemblies in France. Clementine has been fortunate to take part in masterclasses and profit from advice from internationally known piano professors including Bruno Rigutto, Pierre Réach, Charles Owen, Peter Bithell and Ronan O’Hora. Always being very fond of education with a sense of generosity, since a young age at high school Clementine likes to concentrate on sharing her passion by teaching. Since 2006 - in France, the UK and beyond, she gained trust and success from a broad range of students. Winner of the Audience Award and finalist at the 15th Van Cliburn International Piano Competition, Young Steinway Artist Rachel Cheung was described as “a poet, but also a dramatist” and “the most sophisticated and compelling music-making” (The Dallas Morning News). She won the Fifth Prize at the 2009 Leeds International Piano Competition at age 17. A year later, in 2010, she was a semifinalist at the 16th International Fryderyk Chopin Piano Competition, Warsaw. Other achievements include Second Prize and Schubert Prize at the 28th Alessandro Casagrande International Piano Competition, Italy, 2008, and Georges Leibenson Prize in the 67th Geneva International Piano Competition, 2012. In 2016, Rachel was awarded the special prize at the New York Concert Artists Worldwide Debut Audition. Rachel has appeared in many prestigious music festivals including the 9th Musical Olympus International Festival, Russia, The International Chopin Festival in Duszniki, Poland, Virtuosos of Planet 2006 in Kiev, Ukraine, The Festival Transeuropéennes in Rouen, France, Miami International Piano Festival, the Golandsky Institute International Piano Festival and the Sun Valley International Piano Festival. She has also performed at the Auditorium du Louvre in Paris, the Steinway Hall in London, the Richmond Hill Centre for Performing Arts in Toronto and the Philharmonie de Paris. As an active chamber musician, Rachel has worked with world-renowned musicians such as Vladimir Mendelssohn, Dong-Suk Kang, Jan-Erik Gustafasson, Ning Feng, Trey Lee, Latica-Honda Rosenberg, Jens Peter Maintz, Virpi Räisänsen, Jian Wang, and Michel Lethiec, Bruno Canino, the Brentano String Quartet and Quatuor Leonis. She has collaborated with The National Symphony Orchestra of Ukraine, St. Petersburg Philharmonic Orchestra, Beethoven Orchestra Bonn, Orchestra at Temple Square in Salt Lake City, Jerusalem Symphony Orchestra, the Tapiola Sinfonietta, Hong Kong Sinfonietta, Hong Kong Philharmonic Orchestra with Edo de Waart, the Hallé Orchestra with Sir Mark Elder, the Sydney Symphony with Vladimir Ashkenazy, the NYCA Symphony Orchestra with Eduard Zilberkant, the London Chamber Orchestra with Christopher Warren-Green, and the Fort Worth Symphony Orchestra with Leonard Slatkin and Nicholas McGegan. Most recently, Rachel conducted and played Beethoven fourth piano concerto with the Orchestre de chambre de Paris at the Play-Direct Academy led by Stephen Kovacevich, where she was also awarded the Prix du Jury at the closing concert. Born and raised in Hong Kong, Rachel graduated with First Class Honours at the Hong Kong Academy for Performing Arts under the tutelage of Prof. Eleanor Wong, and later with Prof. Peter Frankl at the Yale School of Music where she was awarded the Elizabeth Parisot Prize for outstanding pianists. Her first DVD –‘ RACHEL CHEUNG – KEYBOARD PRODIGY LIVE IN RECITAL MIAMI INTERNATIONAL PIANO FESTIVAL 2005’ was released by VAIMUSIC in June 2007; and her first CD, under the Alpha Omega Sound label of the Chopin Society of Hong Kong, was released in 2009. Highlights of the upcoming 2018/19 season include a Carnegie Weill Hall debut recital in March, recitals in Mexico, Poland, Italy, the UK, and the US, as well as concerto performances with the Verbier Festival Chamber Orchestra with Gábor Takács-Nagy and the Hong Kong Philharmonic Orchestra with Jaap van Zweden. Arièle was Born in France and received her training at the Lyon Conservatoire Supérieur de Musique (National Conservatory of Music, Lyon), where she graduated in Piano Accompaniment and Lyric Coaching under the guidance of Suzy Bossard, and obtained a first prize in Piano with concert pianist Jean Martin, as well as first prizes in Accompaniment and Musical Analysis. She then worked in Lyon as an accompanist for The National Opera, The Light Opera Company, and The Conservatory of Music, and toured Europe, Russia, and Japan, with the children’s choir “La Cigale”. Since settling in Hong Kong , she is been in charge of coaching singers for the Opera & Vocal Department of the Hong Kong Academy of Performing Arts, where she coached 1996 production of Offenbach’s comic operetta “La vie Parisienne” under Director Michel Gies from Paris in connection with the annual cultural month “Le French May”. In the same year she also conducted the Academy’s opera program titled “Scenes of Passion”. She has served as accompanist for numerous musical productions with Hong Kong Singers, including “Fiddler on the Roof”, “La Cage aux Folles”, and “Oklahoma!”, and has become a much sought after accompanist for radio recordings, chamber music, and for coaching of French repertoire. In 2003 she joined the Music and Drama institute as a specialist coach and accompanist for opera and art song repertoire. French singing coach for Hong Kong Opera: Les contes d'Hoffmann, Carmen, Werther. Concert for the Italian Chamber of Commerce. Roderick Yu is pianist who takes up different roles in orchestral, opera, chamber music and vocal piano accompanying. As an active pianist, he was invited to perform with the Collegium Musicum Hong Kong, Guildhall New Music Ensemble, Hong Kong New Music Ensemble and HKBDA Wind Orchestra. He has also performed in international music festivals in the Netherlands, United Kingdom, Canada, Austria and Hong Kong. His performance included Cecilia Heejeong Kim’s My Arirang, How Much I am Missing You (2013), Joyce Tang’s Reflections on Arirang (2013), Nigel Clarke’s The Flavour of Tears (2013), Luis Serrano Alarcón’sThree Sketches (2014) and Brett Dean’s Wolf-Lieder (2006) that has been broadcasted in the BBC Radio 3 in London. Roderick completed his Master’s Degree with Distinction with the support of Leverhulme Trust at the Guildhall School of Music and Drama and Bachelor’s Degree at the Hong Kong Baptist University, studied under Caroline Palmer, Graham Johnson, Gordon Back, Pamela Lidiard and Norman Lee. He has received the Scotiabank scholarship to be the Art of Song Fellow during the 2013 Toronto Summer Music Festival, where he received intensive coaching from Elly Ameling, Julius Drake and Michael McMahon. Roderick was trained as a lieder coach by Konrad Jarnot and Christoph Bernerduring the 2014 Internationale Sommerakademie in Universität Mozarteum Salzburg.